We suggest that European subsidies should be restricted to members, which strictly respect their commitment arising from the Charter of Fundamental Rights of the European Union. The recent dictatorial position of Hungary regarding the limitation of freedom of expression reflects among others the deep cultural gap with the Principles of European Union that Eastern countries have to fully apply to disserve their membership. 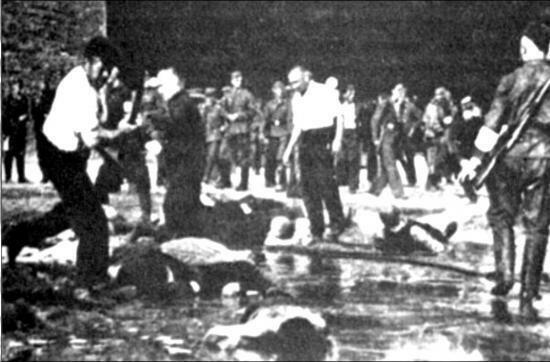 In addition to the above mentioned event in Hungary, six out of the nine eastern countries of European Union, including again Hungary and led by Lithuania are trying to convince EU to issue a law the way of Revisionism, disrespect of Holocaust’s Memory, correlated increase of Anti Semitism and limitation of right of expression regarding Holocaust and Communism, by ranking the communist crimes at the same level as the Holocaust. The EU has rejected such a law but reduses to act in this field at the national level. These six Eastern countries are Lithuania, Latvia, Bulgaria, Hungary, Romania and Czech Republic.A law criminalizing denial of communist crimes is already applied in Poland, Lithuania, Hungary and the Czech Republic.The irreducible anti-Semitic culture of these countries despite the quasi total Holocaust of their Jewish population with sometimes the participation of local populations is particularly shocking. The survival of a popular anti-Semitic culture is disrespect of European Union principles. 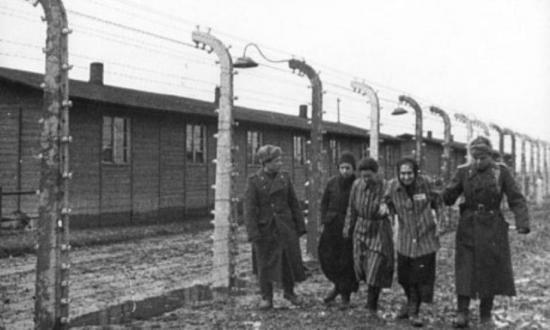 These countries impair the remembrance of the Holocaust by putting the crimes of communist regimes at the same ranking and threaten the freedom of those who would not accept such equal ranking or who would disagree with the decided magnitude of Communist crimes. It must be noted that in Eastern countries and in particular in the Baltic countries, the traditional anti-Semitism is amplified by an association of Judaism with Communism and then Jews are doubly hated for themselves and for their assumed association with Communism. We may note the fallacious process of anti-Semitism, which starting from a religious origin is amplified by the populations accusing in addition the Jews of supporting the economic systems generating hard life for these populations. This totally irrational process of hatred, makes the Jews guilty of problems generated by the Communism (East) or by the Capitalism (West) according to the circumstances. The current weakening process of Genocide History is simply a repetition of the Genocide from a Historical standpoint. This “Revisionist” comparison is so improper that it tends to decrease the importance of the crimes of NAZI’s, instead of increasing those of Communist regimes. For example, a representative of Lithuania has recently indicated that during the Soviet occupation, 444,000 Lithuanians fled Lithuania, 275,697 were exiled, 21,556 opponents to soviet occupation were killed and 25,000 died in war and has also declared that this was similar to the death of 200,000 Lithuanian Jews during WW2. In fact 196 000 Jews were killed by the NAZI’s and their Lithuanian supporters out of 205 000 in all and of course this is not the case of Lithuanian population which has in no way been exterminated. This comparison might be understood as a deep rooted anti-Semitism which grants less value to the Jewish people than to the others. 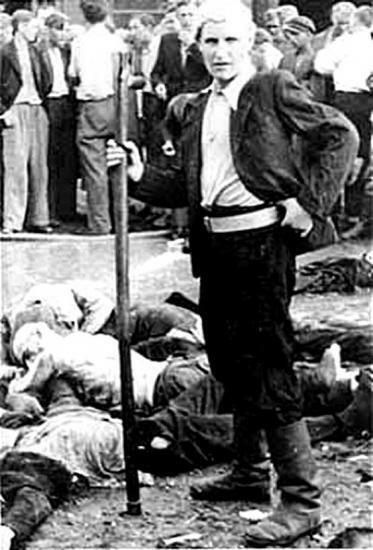 Lithuania is in a particular bad position since it ranks first by the percentage of extermination of Jews during WW2, with 96% achieved by the Nazis and sometimes by the local population such as in Kaunas where civilians slaughtered Jews in 1941 with the same tools and same efficiency which were later utilized and achieved in Rwanda (See attached pictures). In the same City of Kaunas Anti-Semitic acts were perpetrated in last summer 2010 despite the quasi absence of Jews. The European Commission has rejected calls from these Eastern Europe countries to introduce what they name “the double genocide law” (from NAZIs and Communist Regimes) that would criminalize the denial of the equivalence between Holocaust crimes of communist regime or the magnitude of such communist crimes. The Commission has not yet requested the cancellation of such laws in these countries and has only declared that they take the matter very seriously. (source: The Guardian .co.uk -21 December 2010). It would be also adequate to supervise the data provided in Museums, Historic places and School books of these countries since a proper memory is the cornerstone of the European Union. Simon Wiesenthal’s Center has described the effort by those six eastern states as an attempt to forge symmetry and declared that despite all the terrible crimes of the USSR, the people who built Auschwitz cannot be compared to the people who freed it and added that Nazi Germany would probably not have been defeated without Russia (source: The Guardian .co.uk -21 December 2010). An adequate management of European subsidies should also help these countries to strictly apply the European criteria. The European authorities should react very quickly regarding such situation as they did recently in the case of the problem of France against the Gypsies. The Governments of these countries would be wiser to ensure economic growth and welfare of their citizens living in deep poverty due to economic mismanagement and a growing social inequity. In addition we may rationally fear now a legal risk in travelling to Lithuania, Latvia, Bulgaria, Hungary, Romania and Czech Republic may become difficult as a result of the legal risk incurred. This legal risk includes lawsuits as criminals against free European citizens not used to limit their right of expression and who do not share the views of these countries regarding the equivalence between Holocaust and the crimes of Communist regimes or the magnitude of communist crimes.